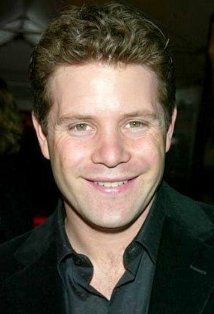 Sean Patrick Astin was born February 25, 1971, in Santa Monica, California to Patty Duke. It was long reported that his father was John Astin (famous for playing Gomez on "The Addams Family" (1964) among other things) whom Duke married nearly 18 months later on August 5, 1972. DNA testing later proved that his biological father was Michael Tell, to whom Duke was shortly married to (June 26-July 9, 1970) before the marriage was annulled. When Sean was two, his brother MacKenzie was born. MacKenzie also went on to become an actor. He also has three older brothers, David, Allen and Tom, from Astin's first marriage. In 1981, at age 9, Sean starred with his mother in the after-school special Please Don't Hit Me, Mom (1981) (TV). The Goonies (1985) followed, and since then, he has had a steady stream of roles. Sean attended Crossroads High School for the Arts and studied with the famous Stella Adler. In 1987, he co-starred with another teen heartthrob, Kirk Cameron in Like Father Like Son (1987), followed, by Toy Soldiers (1991), Where the Day Takes You (1991), Rudy (1993) and the Showtime movie Harrison Bergeron (1995) (TV). He's also become involved behind the camera, directing and co-producing the short film Kangaroo Court (1994), which was nominated in the best short film category at the The 67th Annual Academy Awards (1995) (TV) in 1995. Coincidentally, Sean's adoptive father John Astin was nominated for the same award in 1969. Sean is married to Christine Astin, his co-producer on Kangaroo Court (1994). The couple live in Los Angeles. Even though a successful director, he's not about to give up acting.